Sweet Almond Oil (Prunus Dulcis) Like so many of our Clinically proven Botanical Active Ingredients, Almond Oil dates back to Ancient times, with the Egyptians, Persians, Romans, Greeks all mentioning it extensively in their writings. The bible, including the book of Genesis mentions Almond Trees and fruit dozens of times! It is thought that the Romans introduced the trees into England where they were cultivated and used as a precious trade items all throughout Europe. Aside from the obvious food value (The Romans believed that Almonds had the power to prevent intoxication and so ate them all throughout lengthy state banquets in order to avoid public drunkeness) Sweet Almond Oil is an extremely valuable part of Natural Skin & Hair Care. Rich in minerals such as magnesium, copper, manganese, calcium, and potassium, coupled with fatty compounds like linoleic acid and oleic acid, as well as vitamin E & K, which are all vital building blocks for the skin, Almond oil has been an integral part of Ayurvedic medicines and used in other purposes since 5000 years in India. 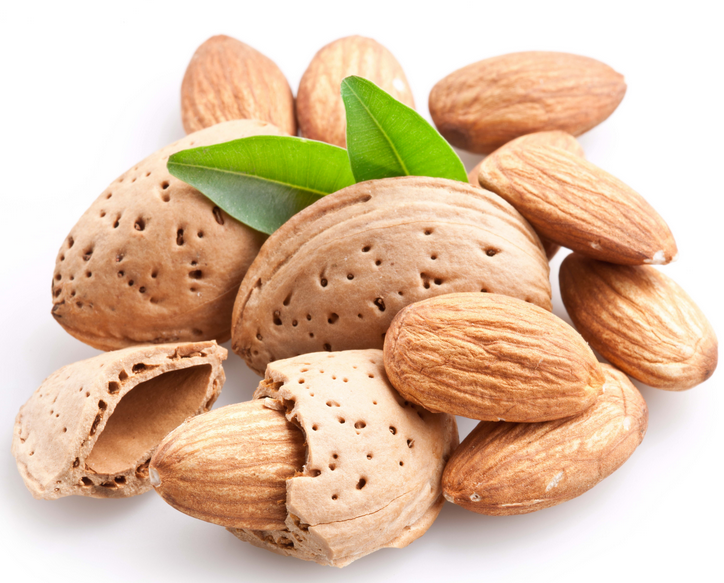 Almond oil also helps promote better circulation, and is easily absorbed deep into the dermis. The Anti-Oxidant** PolyPhenol (phyto-nutrients) compounds contained in the oil help facilitate cellular turnover, which in turn promotes collagen building and increased elasticity, leading decreased fine lines and wrinkles. It has also been demonstrated to reduce or prevent hyperpigmentation (darkening) caused by excessive exposure to sunlight, esp. as the skin ages. It has been used traditionally in Ayurveda to help reduce dark circles around the eyes, probably because it has the ability to help thicken the collagen layer, which renders the veins beneath the skin less visible. **ANTIOXIDANT DEFINITION: Antioxidants are just what the name implies, ie; they help reverse, slow down or prevent cellular oxidation. We call this cellular "rust," as oxidation is what causes the breakdown/decomposition of everything on the earth.. even something as impervious as iron to degrade and break down over time. Imagine what it can do to your skin and hair... Actually you don't have to imagine, as the evidence for the aging process is all around us.